Another resort that used to be exclusive to Chinese nationals, Eastern Hawaii Casino Hotel and Resort in Sta. Ana Cagayan is opening up to local guests. Instead of one towering high rise, the rooms are spread out in several buildings not higher than 4-storey. The room assigned to me, Izah and Ms. Grace (from MNTC) was a spacious 2-bedroom suite. Each room as its own toilet, while the living room features a couch that seems to swallow you when you sit down and lulls you to sleep. There was a TV, but all I can get were Chinese channels. Of course, what endeared me more to our room (aside from the evil couch), was the strong Wi-Fi signal. Since we had the afternoon off, we decided to go for a dip in the resort’s infinity pool. The resort actually offer other watersport activity, but that afternoon, we were content to just swim and nap. Breakfast the following morning was a mix of Filipino and Chinese staples. Longganisa, sunny-side up eggs, fried rice and fresh fruits at the Filipino table; congee and dim sum at the Chinese side. 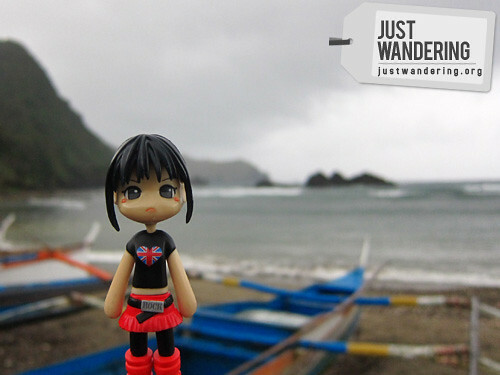 We were headed west, to Ilocos Norte, making a stop at two coastal towns on the way. 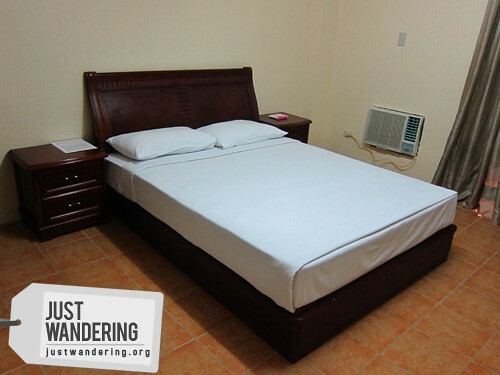 Our first stop was at the town of Buguey, at the El Presidente Beach Resort. Being the Crab capital of Cagayan Valley (maybe even the Philippines), we were treated to a lunch of their freshest catch and a tasting of the local lambanog. Full from the crabby lunch, we dozed off inside the bus and woke up in Claveria, the last town before Ilocos Norte. This small fishing town has big plans to draw in the tourist. Zip line or no zip line, everyone in the group agreed that the beauty of Claveria’s Lakay-lakay beach is enough to get people to come in droves. wow! 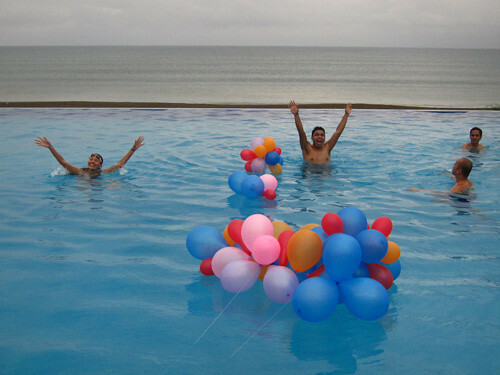 may balloons talaga sa pool? 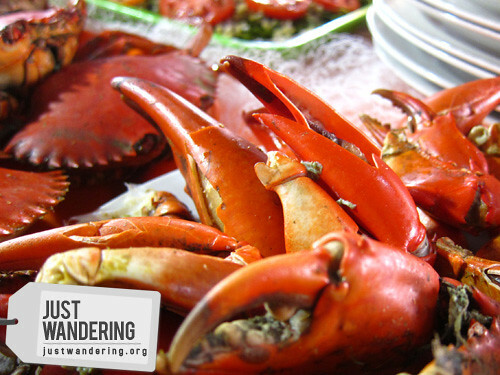 ang sarap naman nung crab… yum yum!!! i’ll be in Laoag for 3 days this April, is it possible that I can drop by Sta. Ana? Thanks! Hi Mervin! Medyo malayo ang Laoag sa Sta. Ana. From Laoag, you can go to Claveria though, which is only 3 hours away. Mga additional 3-4 hours pa ang Sta. Ana. Hi Pinoy Adventurista – I hope you get the chance to visit us here at Eastern Hawaii in Sta. Ana Cagayan…we would be glad to welcome you. haha kasama nyo pala si Ken na masayahin at makulit! hehe Gel and I will go back to Sta. Ana for that elusive lighthouse, we’ll be checking out Sun City din. Hi, I’m from Santa Ana. open na po ba for local guest yung Eastern Hawaii Casino Hotel? Saan po kuha yung pool? may infinity pool rin kasi sa Suncity. Hi Rane, yup, I think they’re open for local guests na. That pool is at Eastern Hawaii. Thanks for the info Nina. Great news for our fans here @ facebook.com/MySantaAna. I’m based here in QC pero taga dun ako. Do you have any contact details of the hotel? Hi Nina…really appreciate your write up. Thank you very much…I hope I get to see you again…incidentally my contact numbers are SMART 0918-9160645 and GLOBE 09153827828…hehehe don’t know who owns the number you gave out. na mix up ka na siguro. You take care always!!! Hi Nina, besides Ms. Thesz Liwanag, you can also reach me, Carl Dulay from the FO Department at 0927 808 5432…We truly are happy that you guys enjoyed our facilities…next time, please stay longer cuz that 1 day stay of yours was really not enough to enjoy all the facilities available to all our guests…Thanks again and hope to see you very soon!!! Hi, Nina! Nice to hear you drop by at Claveria. Sta. Praxedes, Cagayan is next to Pagudpud, Ilocos Norte, not Claveria.